Work for Constant Contact Services? 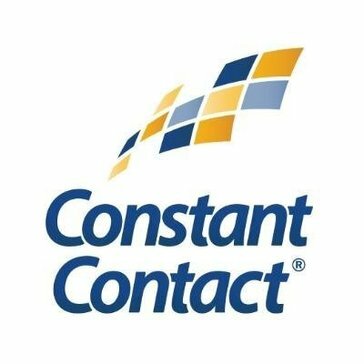 Learning about Constant Contact Services? "Perhaps CC should list to 10+ years clients who adhere to best practices"
I like the ability of CC to manage the contact database, For example, the same email campaign can be sent multiple times and it will not appear in the same inbox twice. It also merges duplicate contacts. This really gives peace of mind for those worried about spamming subscribers. Honestly, CC's best selling points is that none of the competitors are comparable. Be extremely careful when importing contacts. CC wants to see how they actively subscribed. Sometimes it is hard to prove this when you have entered information for people you have an established relationship with, or if they verbally requested to be added. CC wants to actually see the (paper) sign-up sheet. This is unachievable for businesses/groups that have been around long enough to have established an email list based on personal relationships. Also, if the email campaign does not promote a product or solicit donations, updates on e.g. new, educational blog posts should not cause CC to initiate an investigation of practices (so long as there is a clear option to unsubsribe and the list is being managed in an ethical manner). For instance, an email list that updates interested individuals on current events has utilized CC (and paid large sums of money to CC) for 10+ years, had an 30% open rate (twice the industry average), only had one spam report in a decade (which was from an irate individual), and does not even profit from email campaigns should not be subject to an investigation requiring long-term subscribers to op-in just because a contact database was exported, segmented in accordance to CC best practices, and then re-uploaded with the exact same contacts that were included in the original database. After speaking to five representatives over the course of five hours, it became clear that CC does not value their most loyal customers, even if these customers exemplify best results. Given the thousands paid over the years for the account, this isn't just bad customer service -- it is also bad economics. See my earlier comments about the drawbacks of CC. Unfortunately, despite my experience, I still believe there is no better alternative. However, you must take some pretty gratuitous precautions in importing contacts. I understand that they are facing a lot of lawsuits regarding unsolicited emails to contact lists that are often paid for. For those of us who display best practices, this is ridiculous. "I use Constant Contact to help promote a client via email campaigns"
The thing that I liked best about Constant Contact Services is the prompt responses to all my questions. The staff I encounter were very friendly and helpful, and helped boost my clients email marketing opens by almost double. I didn't always have the time to set up emails for my client and this helped me out a lot. Lets just say my client was very pleased. There really wasn't much to dislike about Constant Contact Services. If I had to squeeze for something I would say the initial set up through them was a bit of a pain in the rear end and they tried to sell me a lot of extra stuff I didn't need. I did knock the rating down a bit for the over selling they try but you almost expect the sales pitches anymore anyway. I would recommend Constant Contact services to anyone with a busy life schedule that doesn't have the time or the time to learn effective email marketing. I recommend this to anyone who likes to leave it to the professionals. "Great for contact management, but terrible customer service "
Compared to competitors, Constant Contact exceeded expectations for creating a design from scratch instead of using a template to better suit business needs. Design is relatively flexible The supplied stock images are helpful as well. As for the design, sizing images can be difficult when you are using a self-designed template. As for the contact management services, representatives have very little technical knowledge and don't seem to understand marketing techniques used within certain industries. Don't expect them to have much technical knowledge. That it is a one stop shop. We can create and send emails for our campaigns. I love seeing the stats of viewed, clicks, etc... Great to see how many customers are looking at the emails. There is nothing at this moment in time. It does everything we need it to do quickly and easily. It's great! Very easy to use. Anyone with a little bit of knowledge can jump on the site and use it. Very straightforward step by step guide when building your email lists and emails. I like being able to see who opens, clicks, and ignores. It helps me understand the engagement level of various clients and prospects so I can share with sales to assist them in their sales cycle process. I wish it automatically scrubbed lists. When emails bounce or position holders are updated, I wish it could process those auto-replies and reflect them in the email lists without having to manually update. "Super Easy, looks great - a bit expensive." I liked the ease of uploading lists, opening an email and getting out a great looking template. The pricing is absolutely horrid. Total robbery. They go above and beyond to help their clientele, they're very friendly and do whatever they can to advise, complete a task, etc. It is simple, and with it being simple I don’t remember it having a lot of things to upgrade. the system is easy to use, simple to edit and send out to customers. i have not found anything with this system that i don't like or would request changing at this time. Ease and effectiveness of the email service. After months of use and hundreds of engagements, we still haven't encountered any dislikes. Give it a try, it's easier than you think and will be well worth the investment. "User friendly platform with results "
* We monitor all Constant Contact Services reviews to prevent fraudulent reviews and keep review quality high. We do not post reviews by company employees or direct competitors. Validated reviews require the user to submit a screenshot of the product containing their user ID, in order to verify a user is an actual user of the product. Hi there! Are you looking to implement a solution like Constant Contact Services?